Product prices and availability are accurate as of 2019-04-19 07:14:26 UTC and are subject to change. Any price and availability information displayed on http://www.amazon.com/ at the time of purchase will apply to the purchase of this product. Your gorgeous Incense Burner Figurine Statue has the finest details and highest quality you will find anywhere! 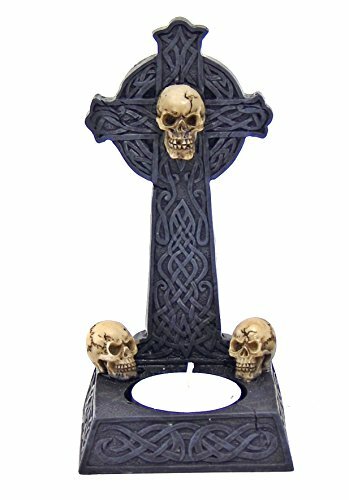 Skull Celtic knot Tlight candle Burner Figurine Statue is truly remarkable. Beautiful well detail Burner, 5.5 inches, Hand made fine cold cast poly-resin. This awesome incense burner is an excellent addition to your home cold cast high Quality polyresin statues. 5.5 inches Burns incense sticks & holds votive t-light candles.